"England's recent record in Euro qualifying is excellent: they haven't lost in 18 such games. That, coupled with convincing home form under Southgate (W10 D4 L1), explains their status as strong favourites here"
Eight months after the World Cup, good vibes continue to surround the England set up. Football might not have come home in Russia, but Gareth Southgate does appear to have managed the impressive task of injecting a little love, a little pride back into the national team - helped, of course, by a talented, intrinsically likeable set of players. The Three Lions maintained momentum in the Europa Nations League, topping a section that they would have approached with some fear not so long ago. With the finals to come in the summer, they now focus on the task of qualifying for Euro 2020, which looks distinctly manageable given they have been drawn with Bulgaria, Czech Republic, Montenegro and Kosovo. Southgate is not without personnel issues: John Stones is absent, as are Jesse Lingard and Joe Gomez, while Marcus Rashford faces a late fitness test. Michael Keane looks set to partner Harry Maguire at the back, and there could be a first senior starts for Jadon Sancho if Rashford is deemed unable to start. The Czech Republic wormed their way into the hearts of many neutrals during their European Championship campaigns of 1996 (runners-up) and 2004 (semi-finalists), but their achievements in the years since have been modest, to put it kindly. They haven't qualified for any of the last three World Cups, and they bombed out of France 2016 without winning a game. Preparations for this new Euro cycle started poorly, with an abject 5-1 friendly capitulation at the hands of Russia - their biggest ever loss - costing Karel Jarolím his job in September. But they have settled down under new boss Jaroslav Šilhavý, finishing second in their Nations League group and picking up a heartening away win against Poland in November. Šilhavý's squad is hardly packed with star power: struggling Roma forward Patrik Schick is probably the main attraction in attack, with support coming from Matěj Vydra and Jakub Jankto. They will probably adopt a safety-first approach here, hoping that a solid backline, protected by a tightly-packed midfield, will hold firm. England's recent record in Euro qualifying is excellent: they haven't lost in 18 such games, winning 15. That, coupled with convincing home form under Southgate (W10 D4 L1), explains their status as strong [1.31] favourites here. That's a bit short for our tastes, so it's worth considering alternative ways to side with this fine England side. Backing them to win to nil at [1.77] is an option, given they have kept three clean sheets in their last five outings, and the Czech frontline is not the most imposing. Or if you expect the hosts to win with some room to spare, England -1.5 might be a good play on the Asian handicap, at a price of [1.89]. Harry Kane has been in good nick since returning from injury in January, scoring seven times in nine outings for Tottenham. His record for his country is also enviable: Kane has scored 15 goals in his last 17 starts for the Three Lions, despite enduring a six-game drought in this run. 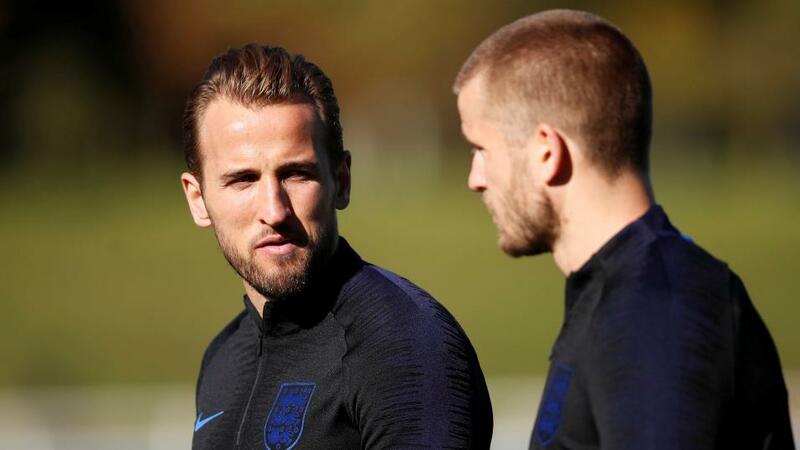 He will likely be available at around [1.65] to notch here, but our best bet is to couple a Kane goal with the England win using the Same Game Multi tool on the Sportsbook. Odds of [1.89] are enough for us to get onboard.